You will be amazed to know most of the food that is healthy for us can cause severe health issues for your dog. Don’t worry as there are some foods that are totally safe for your dog. In fact, some foods provide bone strength, better allergy immunity,and better breath. But before you begin to share your favorite food with your pup, it’s best to know which food you can share. Below is a small guide that lets you know which food to give and why. Yes, commercials always claim they speak the truth, but the real fact is no matter what the claim might be, commercial food is not always good for your dog. Just the way processed food is devoid of nutrients for humans, dog food is no less. Pet foods have been on the market for the last 100 years. Over time many veterinarians have accepted commercial food is not good for your dog. The truth is most of the so-called branded foods don’t even contain clean, inspected ingredients. The biological diet balance is also not maintained. Some types of commercial dog foods are Kibble/dry, canned and semi-moist foods. No food is best than homemade food. Why endanger your dog’s health for a little easeand convenience? 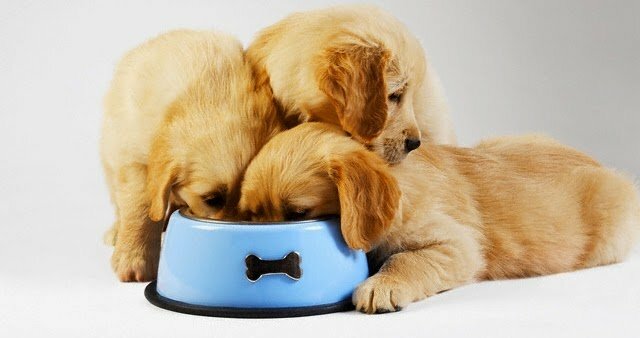 If your dog is more a part of your family then cooking a scrumptious healthy food for them will be a lovable experience. You can cook them many dishes. If you are wondering what, here’s a dish for your little one: Poach a chicken, shred it in the food processor and mix in white rice. Your dog will love it. Most of us take many minerals, vitamins, and nutritional supplements now and then. And, when it comes to your dog, it’s no different. At times, your vet might also suggest you to resort to food supplements to fulfill your dog’s needs. As a matter of fact, there are many dog nutritional foods supplements available and with consent from your vet, you can buy the appropriate type. Some food supplements for your dog include Glucosamine that contains dog food, Omega-3 Fatty Acids like Salmon oil, Multivitamin A, D, E and K and probiotic like curd. Dogs love chewing bones. Yes, we all know that, but are they healthy for them? Now that’s like asking is milk healthy for us. Well, according to the FDA, this old habit can be fatal for your dog. Cooked bones become brittle while being cooked hence, can splinter and cause your dog to suffer from internal injuries. Cooking also reduces the nutritional value of the bones. You still can let your dog enjoy a feast of bones. You can give them edible bones as they are hollow. These are the bones found in the wings of chickens and chicken and turkey necks. Being soft, pliable they don’t have any marrow in them hence, can be easily ground in a meat grinder. Edible bones are high in calcium and phosphorus with minute traces of minerals and are great to add balance to your dog’s diet. Another type is recreational bones. These are chunks of beef or hip bones that are filled with marrow. Gnawing on these bones, especially one that is filled with cartilage and soft tissue is ideal for them as it works like brushing and flossing teeth in one go. But remember they are only meant to be gnawed on and not eaten so don’t make them part of their diet. Some fruits and vegetables are healthy for dogs just as they are for us, but not all. Dogs have a different digestive system than us humans and in taking wrong food can lead to health issues and in extreme cases, death as well. Your dog is no less different from a baby. He can’t tell if he’s in pain or what he wants. You must understand what they want. You can talk with your vet and clarify any doubt you have and even get your vet to pen down a diet that you can follow.